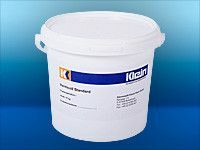 Vermicoll-Standard is a ceramic glue with which you can glue our Kawalite or Kleinite products together. Vermicoll-Filler is a type of spatula, modelling mass. It serves the purpose of improving, repairing or filling smaller cavities or slots.